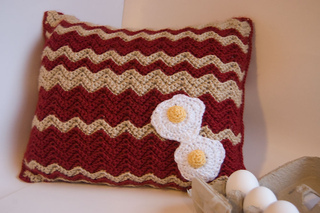 12" x 16", 16" x 16"
This is more of a stitch pattern with a recipe – be sure to read the notes carefully to make your own ooak pillow! Includes chart, lots of photos, and video tutorial. UPDATED 8/26/12: More explicit written instructions for the rows have been added!